Display the historical helmets in your collection with pride, showing off dramatic crests to full effect! The Roman Crest Holder supports a crest on your helmet to create a wonderful piece of costuming or home decor. This plume holder is used to secure a crest to a Roman helmet. 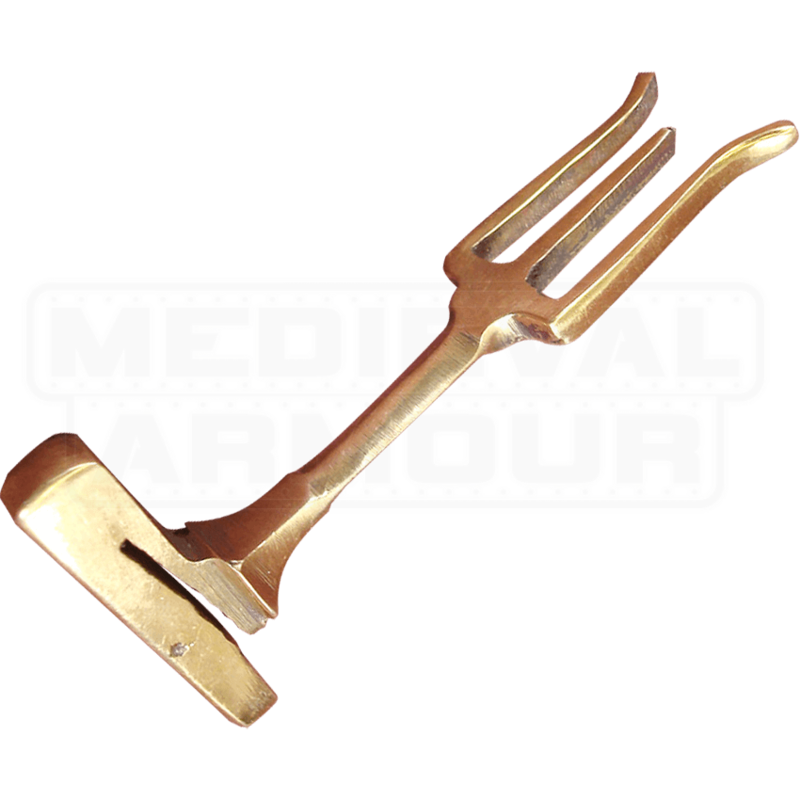 The brass holder slides into its slot and the crest is put atop the fork-like prong. The crest then has its ends tied to the helmet to securely affix it into place. This plume holder is for a front of the head to back of the head crest alignment. This narrow fitting is intended to be used for the thinner, metal-based crests. Most of our Roman helms that begin with AH- will fit this holder. Helmets must have receiver bracket on top to use this holder.